Do you wish your grandmother had written down her childhood stories and your favorite recipes? 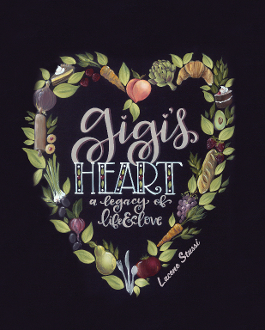 Seven grandchildren call me “Gigi”; it is for them I have written this book. I have included cooking tips so dishes taste the way they remember, blessings for each one, and wisdom gathered along the way. I hope you will cozy up in your happy place and join me in this legacy of love.